Portugal’s second largest city after Lisbon and one of Europe’s oldest, Porto sits astride the mouth of Douro River, where it spills out into the North Atlantic Sea. Like nearby Braga, which I wrote about recently, Porto and its surrounding area have a fascinating and diverse history that stretches back to 300 BC. Since then, the region has been occupied by the Romans and the Moors, and much fought over by the rulers of the Iberian Peninsula. Vimara Peres took Galicia back from the Moors in 868, declaring the region of Porto as the County of Portugal, which was later merged with the Coimbra by Henry of Burgundy. It was Henry’s son Afonso Henriques who wrestled independence from the region’s overlord, the King of León (Spain). He proclaimed himself as the first king of Portugal, founding the new nation in 1139. ‘Portugal’ comes from Portus Cale, the ancient Celtic name for the original settlement of Porto. The marriage of John 1 of Portugal and Phillipa of Lancaster, in 1387, formalised the long-standing friendship between Portugal and England, and is considered to be one of the world’s oldest recorded military alliances. Porto’s shipyards built many of the ships that sailed out into the world during the Age of Discovery in the 14th and 15th centuries. The Douro area was already a well-established wine-producing region in the 13th century, and much of the wine made in the area was transported to Porto for trade. In the 18th century, trade relations between Portugal and England were finalised. Production of port wine gradually fell into the hands of a few English firms. Attempts by the Portuguese Prime Minister to rescind English dominance of the Porto wine trade did not succeed. In 1809, Napoleon’s troops invaded Portugal, bringing war to the city and region. The Anglo-Portuguese Army of the 1st Duke of Wellington pushed the French out of the city, using wine barges to transport the troops that outflanked the French troops. 11 years later, a civil revolution established a liberal constitution for the country. When Miguel I took the throne in 1828, he declared an absolute monarchy, but was defeated by the Constitutionalists. He abdicated in 1834, allowing the liberal constitution to be re-established. The only other attempt to restore the monarchy occurred in Porto in 1919, but the briefly lived ‘Monarchy of the North’ lasted only weeks before being deposed. A great place to start a visit to Porto is by the south side of the Ponte de Dom Luís I (bridge), for spectacular views of the city. You could also take a ride on the Teleférico de Gaia cable car which runs from the Jardim do Morro upper station next to the bridge, down to Cais de Gaia along the river’s edge. The distance between the two stations is just 600 metres, so you can equally well enjoy the views by foot instead. 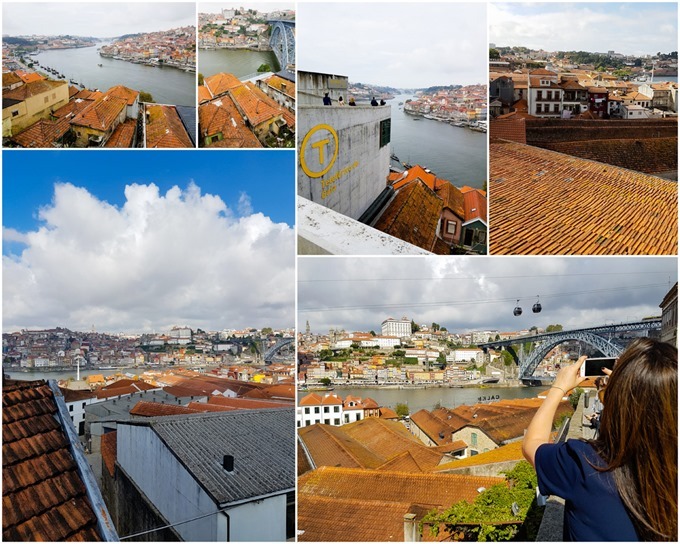 As you visit some of the other attractions of Porto, you will come across more beautiful views across the red tile rooftops of the city. Porto’s historical old town area was proclaimed a World Heritage Site by UNESCO in 1996. As you would expect, it’s full of beautiful buildings showcasing many different styles of architecture. The churches of the city are amongst the most beautiful of these, often decorated with beautiful blue and white azulejos (which I talked about here). 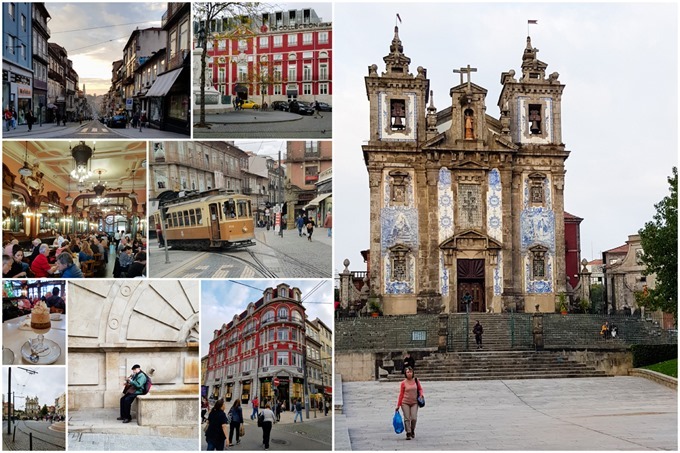 Featured in the collage above is the Igreja (Church) dos Carmelitas Descalços, in downtown Porto, near the university. One of the best views of it is from the nearby dos Leões fountain. Look more closely and you’ll see that what looks like one enormous church is actually two churches side by side – Carmelitas Church on the left, built as a convent in the 17th century, has the more simple and classical facade – Carmo Church, built as a monastery in the 18th century, is more grandly baroque in style and features a panel illustration in azulejos down its side. Between the two is what must surely be one of the world’s narrowest buildings, a house measuring just one metre in width – built to satisfy a law stating that no two churches could share a wall, it also served as a barrier against contact between the monks of Carmo and the nuns of Carmelitas. A few minutes walk from the Igreja (Church) dos Carmelitas Descalços is the recently restored Livraria Lello. Also known as Livraria Lello & Irmão or Livraria Chardron, the bookshop is one of the oldest in Portugal and often listed as one of the most beautiful bookshops in the world and having been inside, I can well believe it. These days its also widely celebrated as one of the inspirations for author J K Rowling who used to visit the shop when she lived in Porto during the 1990s. Elements of the bookshop are rumoured to have informed Rowling’s depiction of the Hogwarts staircase, the school library and the Flourish and Blotts bookstore in Diagon Alley. Because of the influx of high numbers of Rowling / Potter fans, the bookshop has implemented a ticketing system to limit the number of people in the store at any one time. Tickets are sold at the red metal sales booth opposite, and cost €5.50 but if you make any purchases during your visit, that amount will be taken off your bill before payment. Be warned that you may need to queue before entering, and it’s still heaving with people; the shop sells up to 80 tickets for every 15 minute slot, with many visitors spending far longer than that inside. The history of Livrario Lello starts some years before this glorious building was created. In 1881, José Lello and his brother Antonio opened their first bookshop and publishing house, establishing themselves as active members of the town’s public affairs, commerce and society. In 1894, The Lello brothers purchased Livrario Chardron, a well-established and very influential publishing and bookshop business founded by Frenchman Ernesto Chardron. Keen to create a new, more fitting flagship for their greatly expanded business, the brothers commissioned engineer Francisco Xavier Esteves to design a suitably impressive property on Carmelitas Street. The Livrario Lello bookshop opened in 1906 and wowed customers with its Neo-Gothic facade, spacious double-height ground floor and galleried upper floor. Outside, the figures of Art and Science adorn the facade, now restored to its original design. The internal walls and floor are lined with polished wood, much of it ornately carved. As you’d expect, there are books everywhere, lining the wooden shelving and piled high on tables across the floor. With so many people allowed in at a time, it can be hard to move around but it’s worth persevering through the crowds. It’s the ‘crimson’ staircase that is the attention grabber. What appears to be a delicate wooden staircase splits into two twisting curves that unite half-way up before continuing to the upper floor. What makes it all the more impressive is that the design appears to be impossible – such a construction in wood would never bear its weight (or that of people climbing it) without far more extensive support. The secret is that it is constructed from reinforced concrete with plaster cladding on the underside painted to resemble wood. Of course, the stair treads and balustrades are made of real wood. Like the staircase, the ceilings – which also appear to be carved wood – are trompe-l’œil painted plaster. Upstairs, the space is dominated by a beautiful stained-glass skylight featuring the Latin insignia decus in labore (dignity in work) as well as the Lello brothers’ monogram. The windows look out over the street below, over the Praca dos Clérigos and across to the Clérigos Tower. For me, the detail that brought home the J K Rowling connection was a simple book cart that runs around the shop on metal rails embedded into the wooden floor. Another utterly beautiful Porto church is the Igreja de Santo Ildefonos in the heart of the old town. This proto-baroque church was built in 1739, and named for Visigoth Ildephonsus of Toledo, the bishop of Toledo from 657 to 667. Steps at the front lead down to a wide open triangle, the Praça da Batalha, allowing for an impressive view of the facade. The Santo Ildefonos is just a few steps from the Rua de Passos Manuel, one of the main shopping streets of the old city. You may hop onto one of the little electric trams that run around the city, or just stroll along slowly, to better explore the shops. Many are international fashion chains, but there are still many local stores worth exploring, including a beautiful grocery store that we couldn’t resist (see below). The Cafe Majestic (near the corner of Passos Manuel and Rua Santa Caterina) may be full of tourists, but its still well worth a visit to gawp at the Belle Epoque interior and enjoy a cream-topped coffee or rich hot chocolate. Next time I visit Porto, I hope to stay at the Hotel NH Collection Porto Batalha – the first of the red-painted buildings above. We stopped in for gin and oysters in the bar before dinner one evening. Originally an 18th century palace, it also served as the city’s main Post Office before it’s recent conversion into a grand hotel; it’s now a luxurious and elegant space and the location couldn’t be better. The River Douro is the lifeblood of Porto, and cemented the city’s role as a hub for the wine trade. Walk along the quay-side from the North end of the Ponte de Dom Luís I, stopping for a drink or a delicious meal. Our lunch here was one of the highlights amongst many great meals in Porto and Braga (see below). 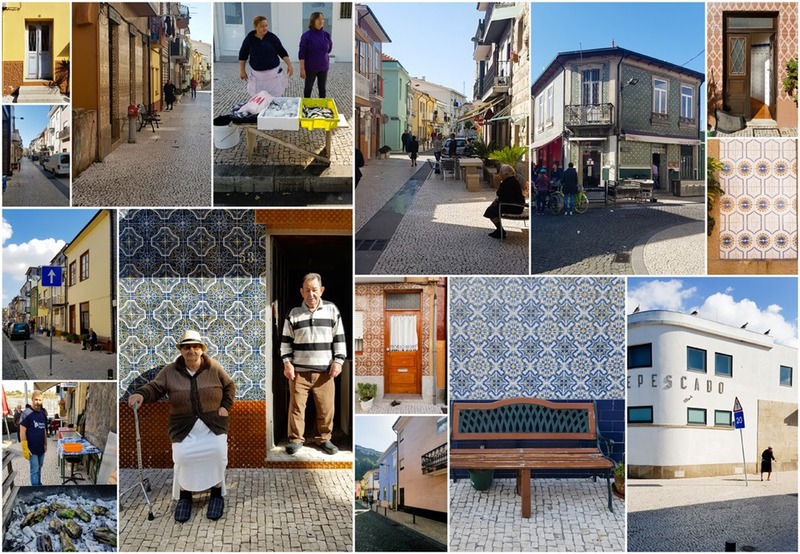 Take a right turn towards the tiny white Nossa Senhora do Ó chapel and continue up the Rua Alfândega and out into the Jardim do Infante Dom Henrique. From here, visit the Palácio da Bolsa. The Palácio da Bolsa was built as a stock exchange by Porto’s Commercial Association. Designed by local architect Joaquim da Costa Lima Júnior, the neoclassical building was completed by 1850 but it took another 60 years for the interiors to be finished by several different architects and artists. The interior is stunning. To see it you’ll need to buy tickets for the half-hour long guided tour. It’s available in English and provides a great insight into the history, and many of the finer details of the decor. The large central courtyard (known as the courtyard of the nations) features a colourful mosaic floor beneath a triple-height domed glass-panelled ceiling, and the walls are ornately painted in gold, pink and white. To one side is a grand granite staircase leading to the upper storeys. From the first upper storey, large internal windows offer beautiful views down into the courtyard, and allow the light from the glass ceiling to reach the corridors. These lead to the various rooms of business including the Tribunal room, the Assembly room and the Golden room. Each is sumptuously furnished and decorated in a different style. The highlight of the palace – which draws admiring gasps from everyone – is the Arabian Hall, built by Gonçalves e Sousa. Decorated in a flamboyant Moorish Revival style, the space is used for receptions and special events. 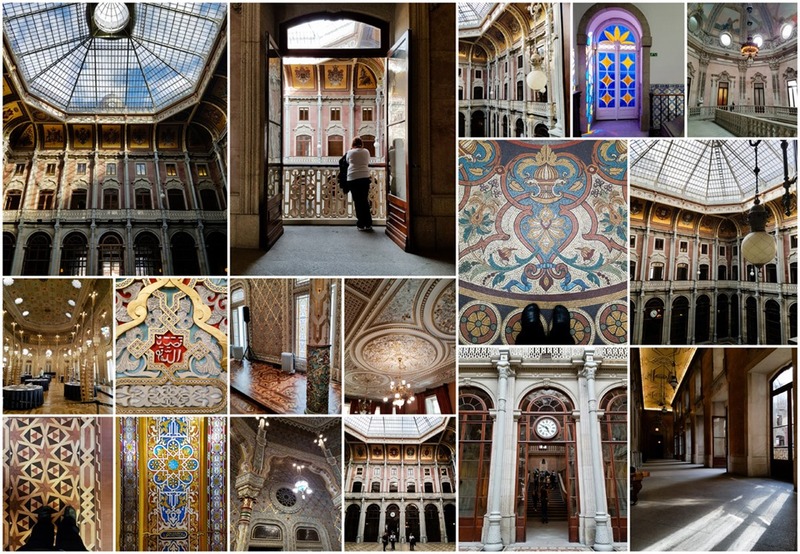 Another inspiring interior can be found at Porto’s main railway train station, São Bento, but this one is free to visit. The station is busy with thousands of daily passengers arriving and departing, so take care not to get trampled as you gaze up at the ceiling and artwork inside! The name of the station comes from the Benedictine monastery that existed on the site from the 16th century. Rebuilt after a fire in 1783, the monastery fell into a state of disrepair by the late 1800s. 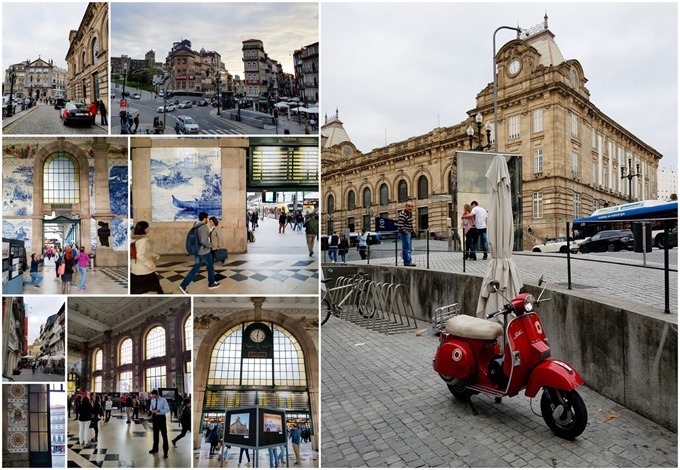 During a period of expansion for the Portuguese railway system, the site was chosen to house the Porto station. Designed in a Beaux-Arts style by local architect José Marques da Silva, King Carlos 1 laid the first stone in 1900 and the completed station was inaugurated in 1916. The walls are decorated with extensive azulejo panels depicting scenes from the history of Portugal. They were painted over several years (during the building of the station) by Jorge Colaço, a very well known azulejo painter of the era, and there are 20,000 tiles in total. Given my reputation for gluttony you might be surprised that I’ve written so much and still not mentioned food! 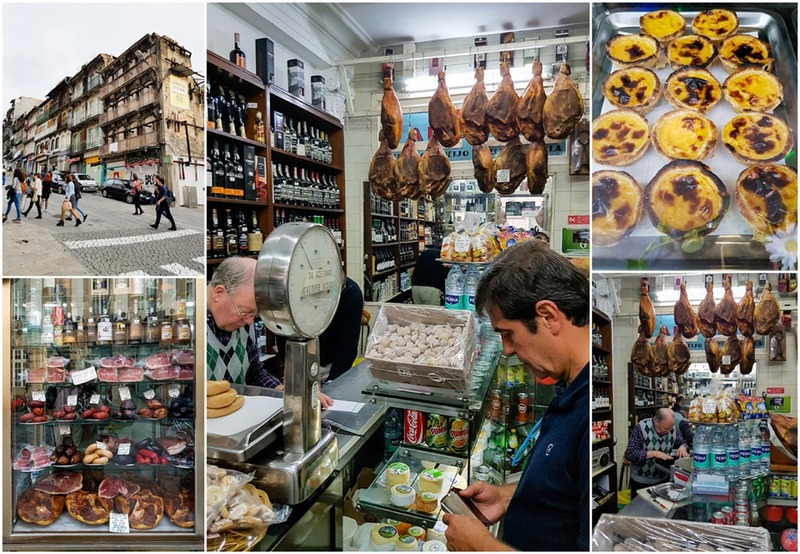 Porto, like the rest of Portugal, is a food lover’s delight. Fresh produce is fantastic, and being right by the sea means excellent seafood too. 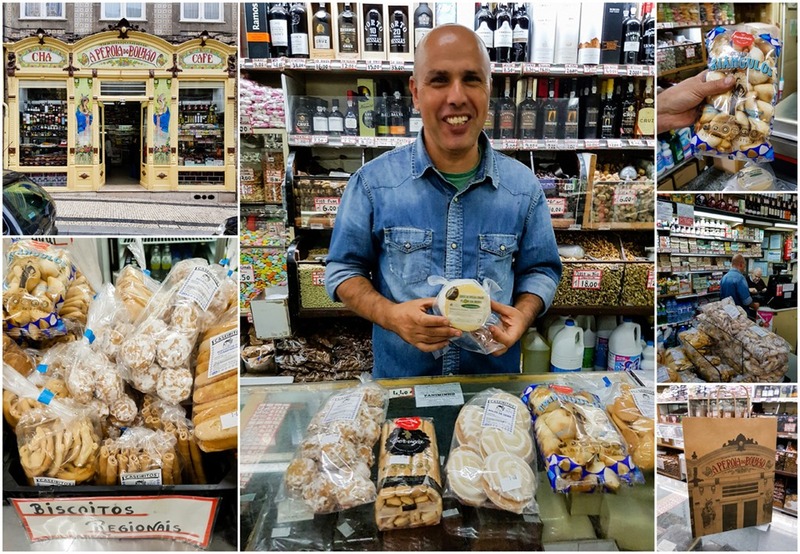 There are many local specialities including great cheese, cured meats and of course, wine and port. While exploring the old town and shopping district around the Rua de Passos Manuel, we stumbled across the beautiful Art Nouveau frontage of A Pérola do Bolhão, a small grocery shop on Rua Formosa, near the corner with Santa Caterina. The painted tiles on the front represent the spice trade – spices and dried fruits being some of the specialist products the shop still sells. Inside, the shop is full of tasty treats including a local cheese I wanted to purchase – handily vacuum-packed for better shelf-life. I also bought a bag of beijocas – sweet, crisp biscuit balls that melted away like meringue on the tongue. The shop was so full of treats, we looked longingly at beautiful tinned fish, dried fruits and nuts, local charcuterie and a wide selection of wine and port. As you can see, we were looked after by a friendly and helpful shopkeeper with the most wonderful smile. We also stopped in another lovely deli, Casa Arcozelo on Rua do Loureiro, just around the corner from São Bento station. This one had a wider selection of cured meats and sausages, not to mention some beautiful custard tarts and a wide range of wine. If we’re talking about food, it must also be time to talk about wine. In England, the most famous of the wines from the Douro Valley must surely be port, a sweet fortified wine usually made by adding grape spirit or brandy to wine. There are a number of different varieties, including white, tawny, ruby and late bottled vintage. Taylor’s is one of the oldest and best known brands, and you can learn all about port by way of a visit to their port wine cellars in the Vila Nova de Gaia district of Porto. 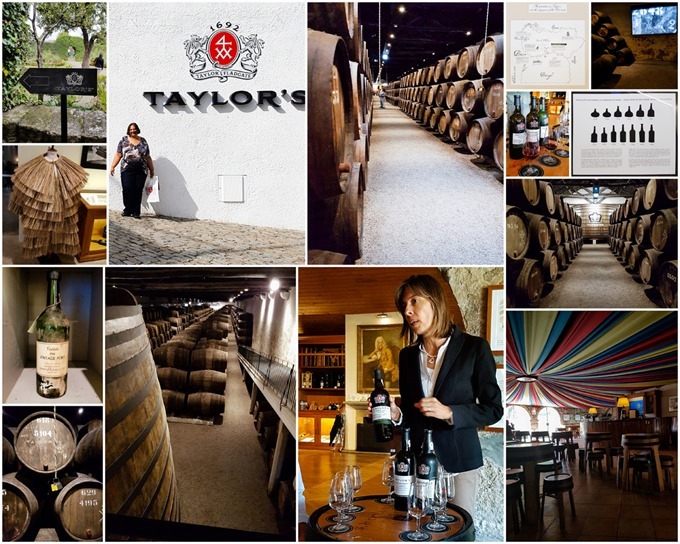 Taylor’s have redeveloped their tourist offering and now invite visitors to tour the extensive cellars accompanied by an electronic audio-guide which ties into screens that tell the history of the company, and explain the key processes in making port wine. Afterwards, visitors settle in to the tasting room to try a couple of the company’s products. For those who want to try a broader range, a bar menu offers tastings of more expensive and older vintages. Next door is the shop where you can buy bottles to take home. There is a restaurant on site, and Taylor’s also runs the The Yeatman Hotel nearby. The other big name in the port business is Graham’s. Their lodge is also located in Vila Nova de Gaia and offers commanding views across Porto. Although it’s still a working lodge, it’s very geared up towards visitors and the large restaurant on site offers a beautifully presented modern menu with traditional influences, matched with wines produced by the estates. They also make their own olive oil, a delicious match to the fresh bread served before the meal. Guided tours and tastings are available and there is a shop on site. Of course, visitors to Porto should find time to venture beyond the old town. A 15 minute drive (or metro journey) north west from the historical town centre is the Casa da Música, a large modern concert hall space that was completed (a few years later than scheduled) in 2005. Designed by Dutch architect Rem Koolhaas, it has already become an icon of the city, and is celebrated for the many innovative, advanced acoustic design elements that have been incorporated. As well as the main auditorium, there is a smaller secondary hall – both can be used simultaneously without any sound disturbance from one to the other. There are also a number of additional rooms used for smaller events and for childcare activities – popular with parents attending an event here. A rooftop restaurant completes the facilities. The outside space, with curved paving that sweeps sensuously above hidden retail units, has become a popular hang out for local skaters and stunt bicyclists. Further out in the same direction is the Serralves Foundation, a cultural institution that houses a contemporary art museum, an extensive park, a villa and an educational farm. The very modern museum building, designed by Álvaro Siza Vieira, was built on the site of the former vegetable gardens of the Serralves Estate. 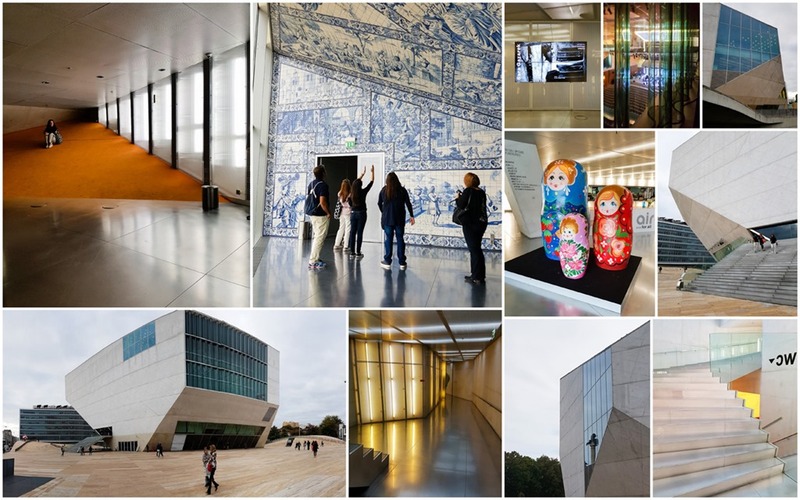 It is now the most popular museum in Portugal and a key destination for contemporary art fans. 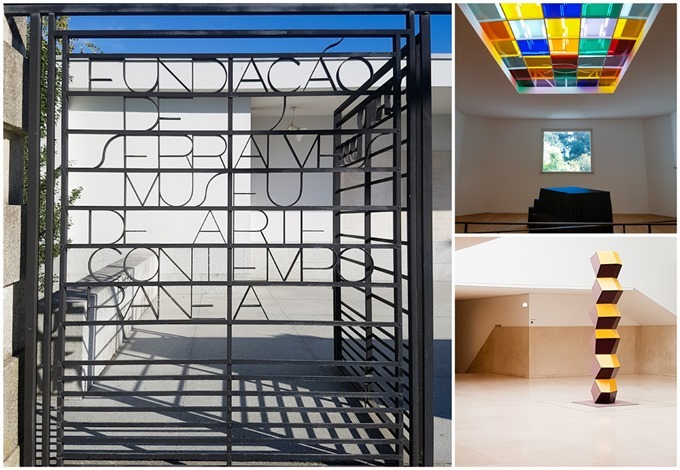 The Casa de Serralves villa extends the museum’s display space, and is often used for temporary exhibitions. It’s a superb example of Streamline Moderne Art Deco architecture. The extensive landscaped gardens are open to the public and contain a number of modern sculptures by various artists. Lastly, the Quinta de Serralves is a small farm which now serves as a training centre for livestock breeding of indigenous species. If you have a few days in Porto, I recommend taking a few hours to see the city from a different perspective. Feel Douro offer yacht charters as well as guided itineraries and are based at Douro Marina. They offer a range of boats that can host smaller or larger groups and can provide a skipper / crew if needed. A stone’s throw from Douro Marina is the small traditional village of São Pedro da Afurada. Still a traditional fishing village, the narrow streets have a wonderfully warm neighbourhood atmosphere with locals of all ages out and about during our visit. Many of the houses are extensively decorated in tile – a mix of traditional designs plus many harking back to the sixties and seventies. I loved every design I found! As we wandered the streets taking photographs, a house-proud elderly woman sat outside her home invited us to enjoy the tiles on her walls, before allowing us to take her portrait. Her husband popped outside to find out what was going on. While the men of the village traditionally went out on the fishing boats, the women did laundry in a communal laundry on the sea front. Once open air, it is now housed in a modern building, but runs in the same way it always has. 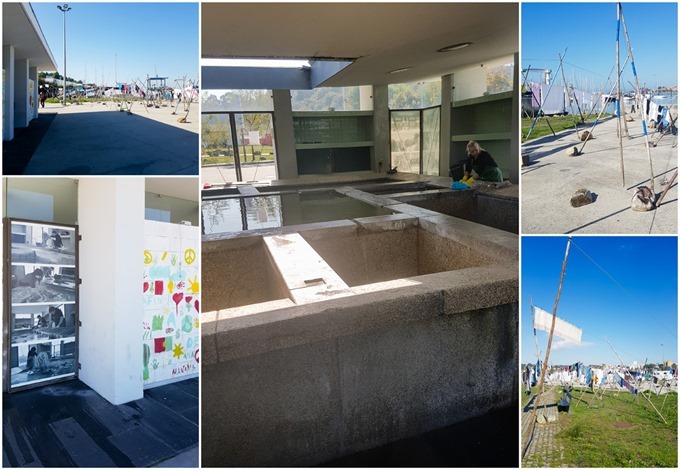 A key source of income for locals was to take on the laundry for more wealthy residents of Porto who appreciated the use of natural detergents. The laundry is hung outside to dry. 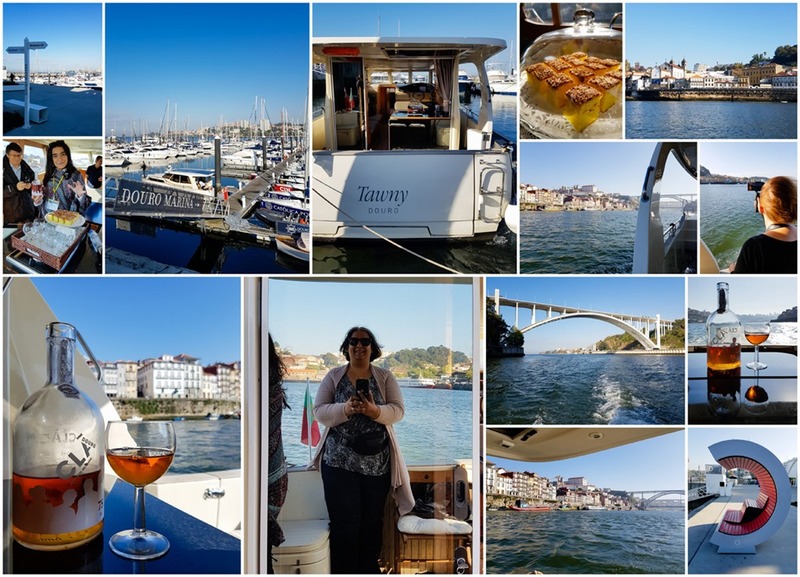 After our trip out onto the River Douro and our walk around São Pedro da Afurada we experienced another way to see the sights of Porto. 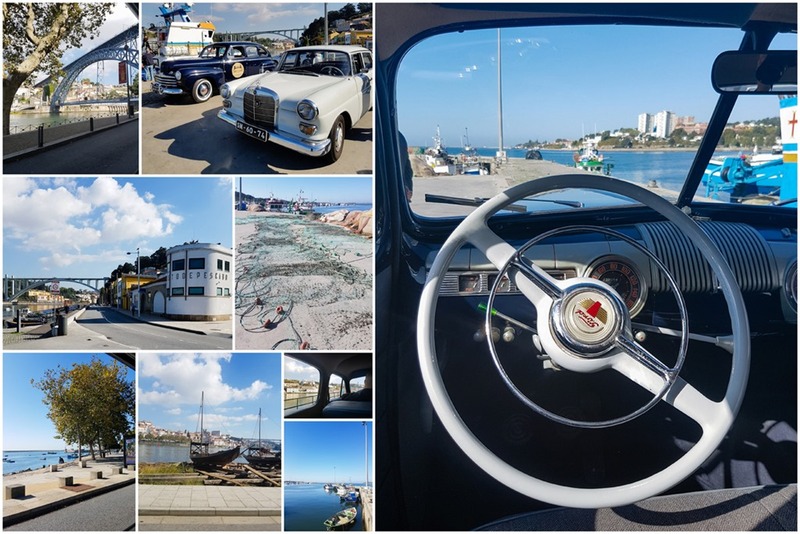 Classico Porto offer tours of the city in immaculately maintained chauffeured classic cars. We headed out to the coast and along the seafront, stopping at the Fort of São Francisco do Queijo for a short break. The name comes from the cheese-shaped rock on which it was built in 1661. 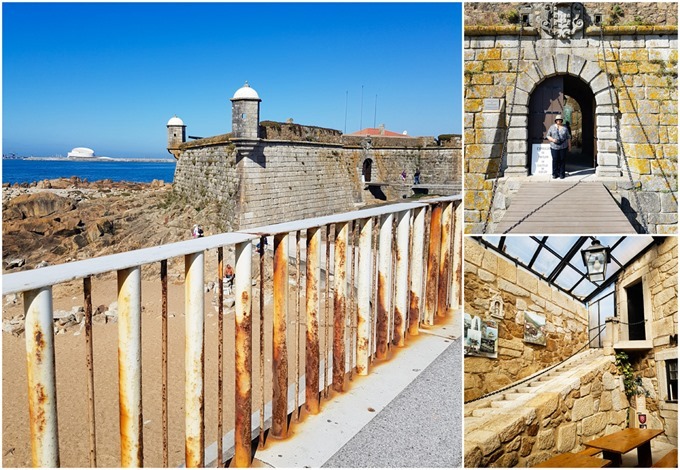 The sturdy fortress features heavy stone ramparts, watchtowers and a drawbridge and houses a small weaponry museum inside. As I mentioned, the food in Porto is fabulous and we certainly ate well throughout our time in Braga and Porto. My two favourite restaurants in Porto were both fish specialists, making great use of the bounty of the sea as well as the excellent produce of the region. Fish Fixe is located on the quai side by the North end of the Ponte de Dom Luís I – see above for more photos of the promenade there. Although the main course of arroz de marisco (seafood rice) was decent, it was the never-ending array of starters and then the desserts that stole the show. Starters included fresh bread with olives, cheese and a tuna dip, a platter of cheese and cured meat, smoked salmon , octopus salad with parsley and olive oil, fried codfish balls with mash potato as well as codfish pieces fried in a light batter, stewed mussels in garlic olive oil, and a dish of smoked mackerel. Of the two desserts, my favourite was the smooth and rich pudim abade de priscos, a very traditional local pudding thought to have originated in Braga. Served in a jar, this was so rich that a spoon or two per person was the perfect end to the meal. 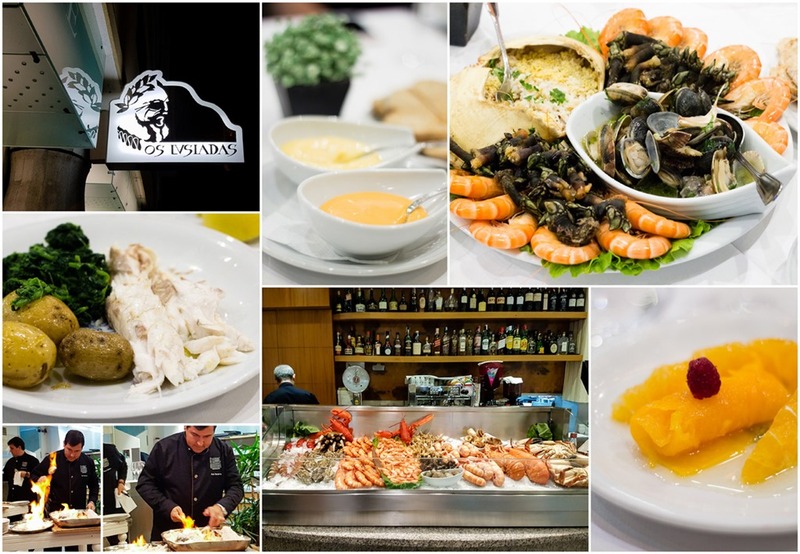 For our last dinner in Porto we visited Os Lusíadas, a seafood restaurant named for the epic poem by Luís Vaz de Camões. The restaurant is a half an hour drive or 45 minute metro trip out from the old town, but well worth the travelling time. An ice box shows off a huge selection of fresh fish and seafood, so you can see what looks good on the day. We enjoyed seafood platters to start featuring prawns, clams stewed in garlic olive oil, goosefoot barnacles and a delicious crab pate served in the shell. This was followed by sea bass cooked in a salt crust. Theatrically set alight at the serving trolley before the crust was broken open and succulent pieces of fish were portioned onto plates, it was served with simple new potatoes and salted greens. Dessert was a Portuguese classic, trouxa de ovos (blanketed eggs), another rich and sweet egg yolk concoction. I hope you’ve enjoyed exploring Porto with me. It truly is a beautiful city – perfect for a relaxed city break holiday of three to four days. If you have a little longer, combine Porto with a self-drive exploration of the local area including nearby Braga and the Douro Valley. Alternatively, an itinerary from Lisbon to Porto makes a great road trip. Porto also makes a good family-trip destination. For affordable accommodation, check out these hostels in Porto. If you want to explore more of the country, read this list of the best things to do in Portugal. 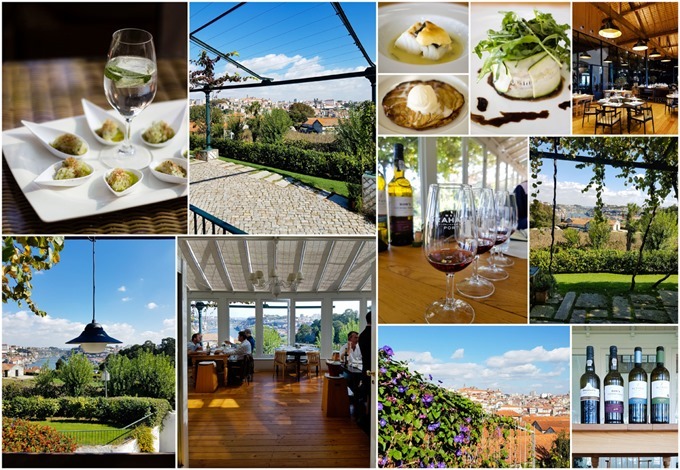 Kavey Eats visited Braga as a guest of Northern Portugal with the support of TAP Portugal. TAP flies direct from London Gatwick to Porto twice daily. With enormous thanks to all those who hosted and organised the trip. 94 Comments to "20 Things to See Do Eat & Drink in Porto, Northern Portugal"
That is a very detailed and well written article on Porto, a must read for visitors, before they head off to the country :). Yes it’s a fascinating reason for time bookshop to have such a renewed surge of interest! 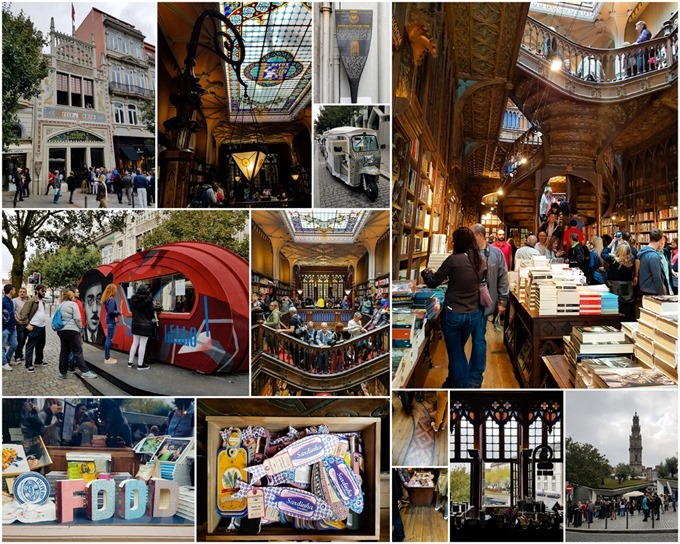 Porto has so much to offer! Sounds like there’s so much to do and see and you make it all sound very lovely. And the food looks amazing. I’ve only been to Portugal once, think I should be planning another trip soon. Thanks for the inspiration. Thank you Sandy, so pleased you’ve been inspired to consider another visit to Portugal! What a lovely city! And beautiful photos, too! I am hoping to visit Portugal in the near future – it’s such an amazing country! Thank you, hope you are able to visit soon! This is wonderful. It’s been far too long since my last visit to Porto (1995). Thank you for the useful info! Gosh brings it all back for me, and reminds me that I STILL have 2 pieces to write!!! This one took me ages! Absolutely loved Portugal and Porto when we visited in 2012. Loved the friendly people and food, especially fish dishes. Cannot wait to come back! 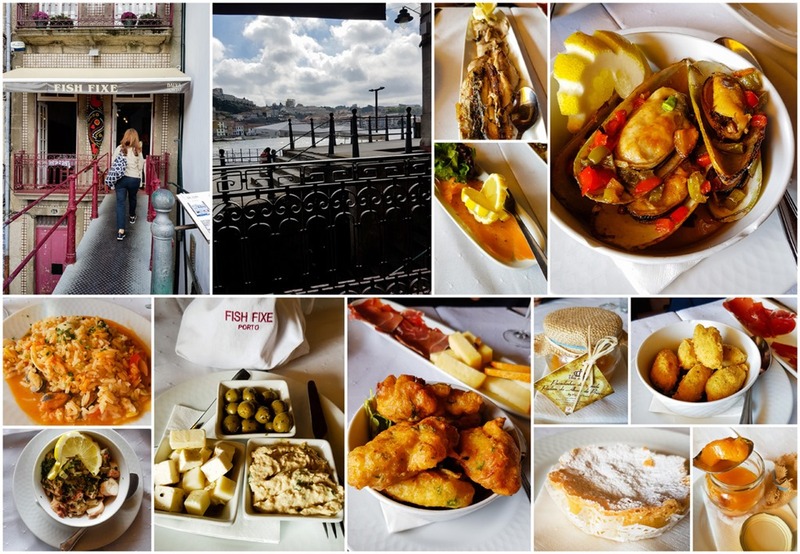 All great reasons to love Porto! Wow, Porto is so beautiful. I haven’t been to Portugal yet but I would love to visit Porto when I go and just walk and explore the town. It’s a lovely place to explore! A great detailed post and good pictures of Porto. Portugal is on our list for 2017 and want to combine our visit with a trip through the Douro wine region. And yes, we are partial to a drop of vintage port. Yes next time I visit I’d like to see time Douro too! Wow! What a beautifully written and helpful post. Will definitely be adding Porto to my to visit list. Thank you for the inspiration! Thank you Sarah, well worth a visit! I loved Porto when I went there for my 30th birthday. Such a lovely city. Thanks for sharing and bringing back the memories. Am what a great destination to celebrate a birthday! The architecture and design of the buildings in Porto looks fabulous. So does the food. 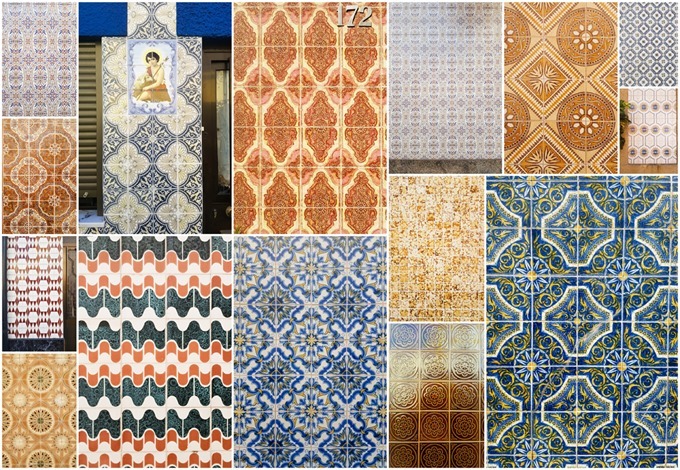 Those Portuguese tiles are amazing too. Such a lovely city! Yes it’s a really charming city! There is so much to do! I’ve only ever visited the south coast of Portugal, so it’s great to know there is so much more to explore up North. The architecture of the buildings is incredible and would be worth the trip alone! Northern Portugal is a gem! What a fantastically well written and illustrated article! I had no idea about the J.K. Rowling connection with the city and now I desperately want to visit that bookshop! The food looks amazing, but my favourite image has to be that tile collage. Beautiful! Thank you Elizabeth, yes there’s a lot of different angles to the appeal of Porto! That place really has a wonderful architecture. Loved the colors. A perfect place for a quiet walk. I went to Portugal as a kid and don;t remember half of this stuff. Obviously, I went to young to appreciate it in all its glory. I have the same thing about some places I went to add a kid – time to go back!! Once again you made me feel like I was there with you. I absolutely love Portugal, it has always been one of my favourite places to visit and you just made me want to return! Thank you so much! That portrait was one of my favourite photos of the trip! I absolutely love Porto! It’s such a beautiful city and there’s so much to see and do. I’ve been twice and I feel like I could go again and again. And the food is so amazing! So glad to find another Porto fan! Porto is part of our itinerary this March. We only allotted 2 days but after seeing all these, good thing we left some flexibility in our plans. We probably would love to extend a bit. Karla, I am sure you’re going to love it. Do also read my post on nearby Braga, linked to in this Porto post. Thank you, so happy you like the photo collages! Great details in this article. I’ve spent some time in southern Portugal but not in the north. 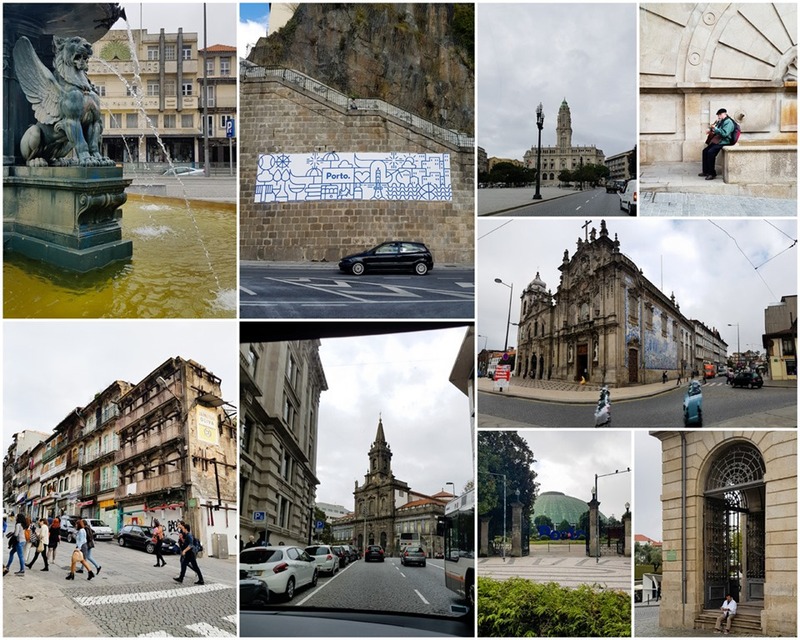 Porto looks like an incredible city with so much beauty, and based on what you have written here, plenty to see and do. The traditional fishing village would be a place I would love to go too. Something so very Portuguese about fishing villages and the men and their colourful boats. Thanks, I’m really pleased you enjoyed the post. The fishing village was one of my favourite stops! Great post! I went to Porto with friends a couple of years back. The social life in there is really amazing and it’s really really cheap. I remember getting stuffed in absolutely every restaurant I went. The portions were enormous. Did you try fransehinha? It’s a local sandwich that contains egg and 4 different kind of meat. It’s a bomb! One of the drivers of the classic cars was recommending us a place for those sandwiches but our itinerary was already packed so we just didn’t manage to squeeze any more in! I’ve only been to Lisbon and this was about 25 years ago so I’m due for another Portuguese adventure! As an Interior Designer, I could spend hours just admiring the different styles of architecture and I just love, love, love all the tiles! Yes the tiles are just gorgeous! I would love to get to Porto, I’ve only ever heard amazing things about Portugal, but honestly didn’t know much about anything past Lisbon. Sounds though like there’s enough culture, history, food and amazing wine to make for a really amazing vacation. Will definitely add Northern Portugal to the list! Yes I think Lisbon gets the coverage but I really loved Porto and nearby Braga too. Hope you make it there, Harsh. And thank you for your comment on my collages. I love Porto so much! It is highly underrated. Its so interesting how you managed to include so many pictures making use of collage format. When one has so many pictures, its so difficult to choose, isn’t it? Yes, it’s so photogenic I wanted to share lots of photos so this seemed a good way! Absolutely beautiful looking place Kavey. Very glad that you had an amazing time in Porto! Thanks, was such a lovely place. Another reason to love Portugal beside Cristiano Ronaldo. I love the country’s sightseeing. And this is a lovely review. Thanks. Ha ha, I’m so unaware of sports stuff that I could tell you (I think) that Ronaldo plays football but not witch country he’s from! But yes, Portugal is just gorgeous! My parents always gush about Portugal and we’ve always meant to go, but we end up heading to visit my in-laws in Cyprus each year, have a week somewhere in Scotland and a long weekend in London. Voila, holidays all used up. These photos are seriously tempting me though. Just gorgeous! It’s a beautiful place to visit. I think, like Spain, some travellers dismiss it but it offers so very much more than the beaches in the south. If you enjoy city breaks, it’s well worth visiting. I do so love visiting these places from the comfort of my kitchen table through your photographs and stories! Oh the wanderlust you stir in me – I want to go there, today! Loved reading this great report. Porto is my alltime favourite city in Portugal. How coincidental that you had dinner at Os Lusíadas in Matosinhos. We did, too! And we took tasting tours at Graham’s and Taylor’s (and had lunch at their Barão de Fladgate restaurant). Lovely! Thanks Myriam, I really did love Porto, which I hope comes across. We were very lucky that our hosts picked these great restaurants for us, I may not have visited Os Lusiadas on my own because it was a little further out! A friend of ours, who is in the fish & seafood business, recommended Os Lusíadas. Otherwise we wouldn’t have known either. I didn’t realise JK Rowling lived in Porto. Sounds like a place I would love to visiit. Do you know how long she lived there for? I’m not sure. It’s a gorgeous city to visit! If you are able to do a trip up to Porto as well, I don’t think you would regret it! I havent been to Porto since 2007 but I remember falling in love with the city and all that wine! Amazing city and reading this/seeing the photos brought back a lot of memories. Also recommend the nearby Bom Jesus….amazing place! Glad that I’ve brought back some happy memories of this beautiful place for you! 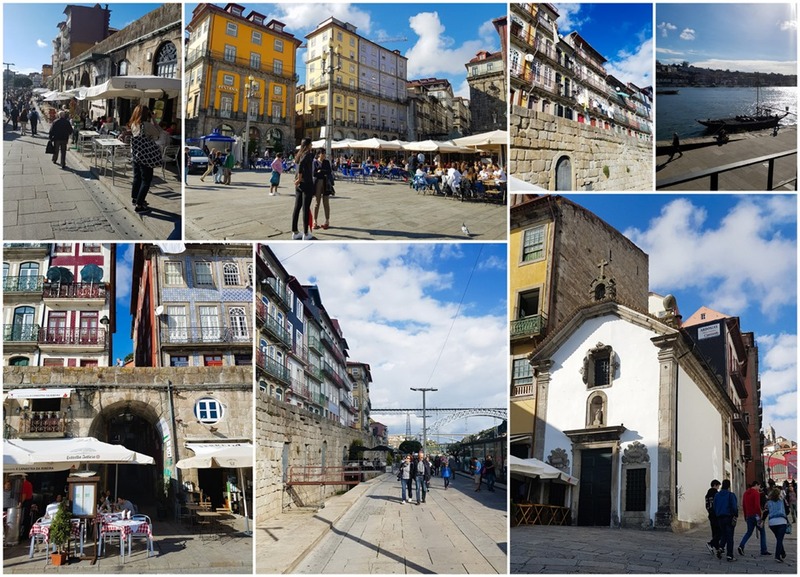 I knew Porto was a beautiful city, and of course all about Port, but I had no idea there was so much to do there. Now thinking of planning a city break! It’s a perfect city break choice, enough to do to keep you busy but also small enough to feel a little more relaxed and friendly than some of the biggest cities. So many amazing photographs! We don’t know very much about food in Portugal, so we really appreciate the information you provided here. Great details! The quality of produce is really high – fruit, vegetables, meat and fish – which makes for a great cuisine! Porto looks really amazing. I love the photo collages you made. They looked really nice and didn’t take over the article. Do you know if one were hiking the El Camino via Portugal if they would go through this area? Yes I believe so, looking at online maps, it appears to take in both Porto and Braga as well. And thanks for your kind comments on my photo collages! I still dream of Portuguese custard tarts! They were incredible. I really loved the food when I visited Lisbon. I’m excited to explore the north in the future though! Oh yes, cannot get enough of those! great post. I spent a week in Porto after spending 40 days hiking across spain! I loved Oporto! The food, wine (port), the history, and just all of it was great! I loved sitting along the Duoro River smoking a cigar with a glass of port watching the local boys diving off the bridge! When I go back I will have to look up some of these seafood restaurants! I think I overdosed on Bacalao which was yummy! Ah that sounds like an amazing trip! Lovely to hear about your memories too! Porto is so charming and elegant. It has an aura of rich history and culture around it. The Churches are simply divine. I was struck by the beauty of The Palácio da Bolsa, the interiors are nothing short of spectacular. Also, I think this post gives a fresh and holistic perspective of Porto. Thank you, very glad you enjoyed the post. I really wanted to do justice to such a beautiful place. I have to admit I’m guilty of overlooking Portugal when I think of where I want to go next in Europe. Your post is a great reminder of all the charm and amazing history there is to discover there. I loved the art and architecture. How fantastic would it be to zip around on that little red vespa! Aaah it makes me happy to think that I’ve reminded a fellow traveller to consider the charms of Portugal when planning a future trip! It’s a beautiful place on so many levels! I’m glad you enjoyed the post and that it brought back lovely memories!